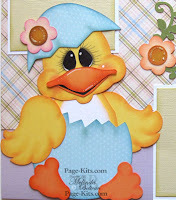 Today’s post is a reminder of our Current stamp and or die cut challenge here at CWC-MYPCW. The PCW designers came up with some more super adorable projects. So while Easter is past, the ideas are great for next year’s cards and projects and or to do some layouts of your holiday memories! Here is a close up shot showing the glossy accents. Be sure to head over to our challenge post HERE to enter your project! You could win a free digital printable or Cutting File from PCW. Also, come back tomorrow as we have a SUPER SPECIAL CWC Challenge for you tomorrow! All the projects are adorable! The link for the challenge is there now but was missing for quite some time. Not able to leave a comment on the Easter challenge blog post. this is really cute love the cards.